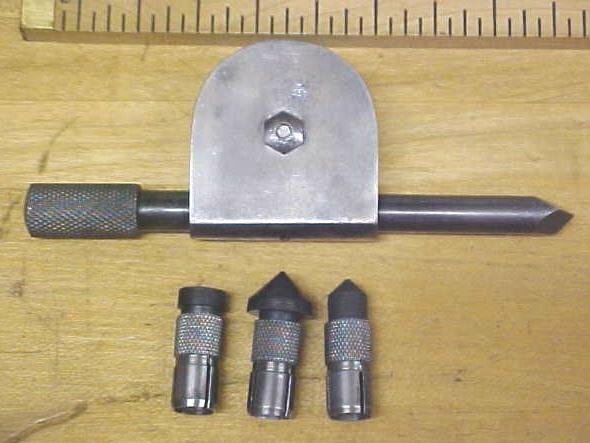 This is a nice clean used machinist speed indicator with three interchangeable attachments included that will press fit onto the end of the main shaft. 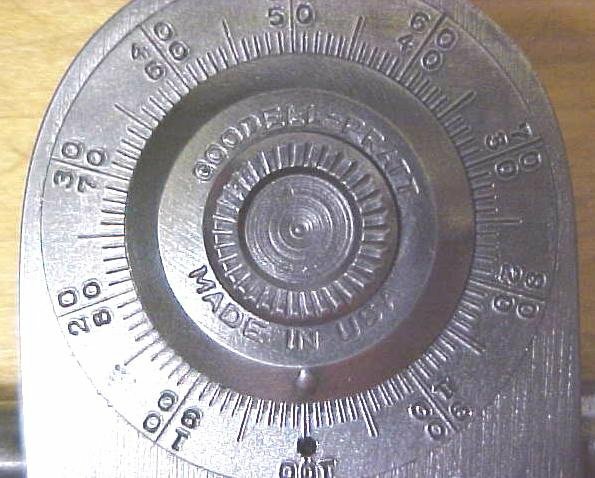 It's marked "GOODELL-PRATT MADE IN U.S.A." on the indicating dial face area. It is rust free, some minor finish staining or darkening, works fine. It measure 4.5" long overall. 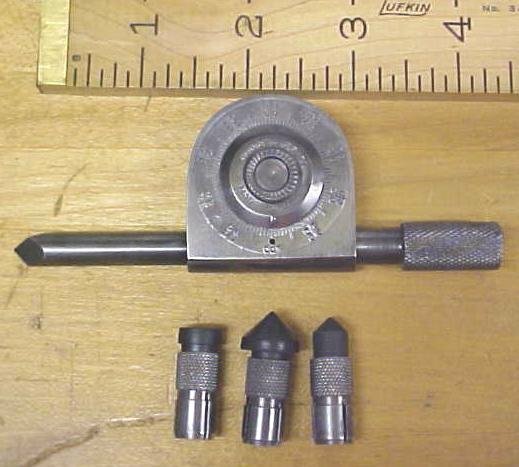 This is a hard to find quality made machinist tachometer, by a well known maker! 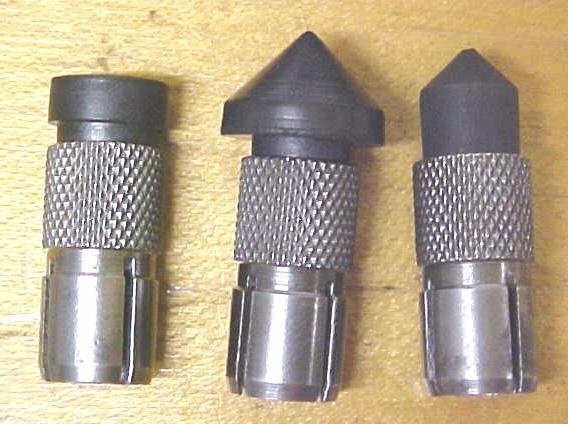 Items Similar To "Goodell Pratt Speed Indicator w/Rubber Tips Tachometer"